Ian Phillips Sensei is a Hombu Dojo, Tokyo, Japan certified 2nd degree blackbelt instructor who teaches in open hand and Aiki-weapons (wooden sword and staff) and is a longstanding member of the Takemusu AIkido Association (Iwama style). He has trained under Sensei's Michael O'Quin and Alice MacAlister and Bill Witt Shihan since 1998. Ian's instructors were direct students of M. Saito Shihan who trained with O'Sensei for 23 years at the Iwama Dojo in Japan, where AIKIDO was developed. 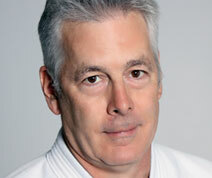 Ian has also trained in several other Aikido styles and was a member of the British Aikido Federation. 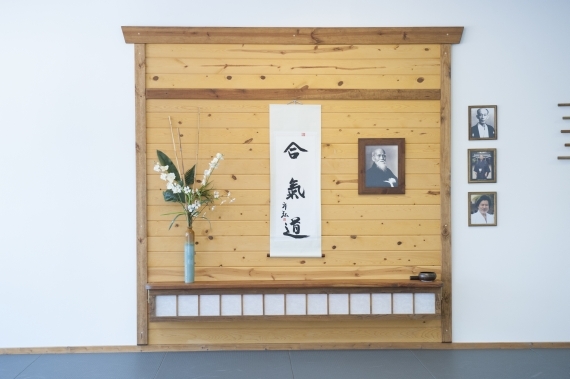 Jan Ksel Sensei is a Hombu Dojo, Tokyo, Japan certified 2nd degree black belt instructor who teaches in the Aikikai, a 'classical' style of Aikido developed by O'Sensei and the Ueshiba family and is a longstanding member of the United States Aikido Federation (USAF). 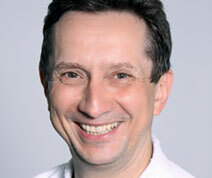 Jan began his martial arts training in Jujitsu in 1979 in his native country, Poland. Once in Florida, Jan continued martial arts training in Tang Soo Do, a Korean martial art. It was during this time that he got exposed to Aikido based techniques taught by Grandmaster Chuck Blackburn and found the blending, non-confrontational nature of Aikido extremely appealing and for Jan this was the ultimate martial art that he was searching for. This was a turning point in Jan's martial arts study and he focused exclusively on Aikido training. He trains under the direction of Grady Lane Sensei Rokudan (6th Dan). For the last several years he intensified his Aikido study by participation in USAF seminars with Y.Yamada Sensei, P.Bernath Sensei, Penny Bertath Sensei, H.Osawa Sensei, Claude Berthiaume Sensei, Grady Lane Sensei, Claire Keller Sensei, and others and seminars led by other affiliations established Aikido teachers, such as, Jan Nevelius Sensei, Henry Kono Sensei, Bill Witt Sensei, and several others. 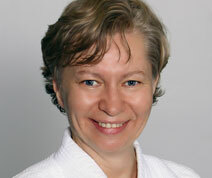 Beata Ksel Sensei is a Hombu Dojo, Tokyo, Japan certified 2nd degree black belt instructor who teaches in the Aikikai, a 'classical' style of Aikido developed by O'Sensei and the Ueshiba family and is a longstanding member of the United States Aikido Federation (USAF). She trains under the direction of Grady Lane Sensei Rokudan (6th Dan). For the last several years she extended her Aikido study by intense participation in USAF affiliations seminars with Y.Yamada Sensei, P.Bernath Sensei, Penny Bertath Sensei, H.Osawa Sensei, Claude Berthiaume Sensei, Grady Lane Sensei, Claire Keller Sensei and other established Aikido teachers, such as, Jan Nevelius Sensei, Henry Kono Sensei , Bill Witt Sensei and several others. At Aikido Orlando Dojo, Beata has developed a low impact Aikido program for senior adults focused on improvement of physical and mental abilities to help prevent injuries associated with aging. Also, Beata Sensei is a Chief Instructor of the children and teenagers programs.